“The U.S. Securities and Exchange Commission (SEC) issued an investigative report today cautioning market participants that offers and sales of digital assets by ‘virtual’ organizations are subject to the requirements of the federal securities laws,” reported a recent SEC press release. 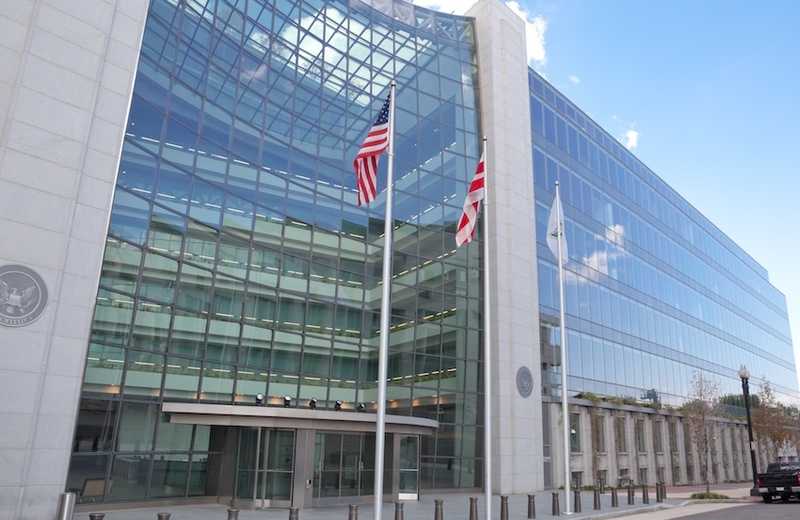 The SEC’s Report of Investigation rules that the tokens sold by “The DAO” in 2016, for instance, were securities and therefore subject to federal securities laws. The SEC ruling may come as a cold shower to those in the U.S. who wish to emulate the spectacular success of recent ICOs, some of which raised tens and even hundreds of millions of dollars in the last few months. ICO tokens, often based on Ethereum smart contracts and traded on digital currency exchanges, give holders rights to use services deployed by the ICO team and to participate, not only as buyers but often also as sellers, in associated blockchain-based ecosystems. So far, many have benefited from the ICO model. But it’s not incidental that “ICO” sounds like “IPO,” or Initial Public Offering. In fact, there’s a perception that ICO tokens are equivalent to company shares traded on the stock market and that ICOs are IPO alternatives that allow for raising hundreds of millions in crowdfunding without venture capital and without SEC oversight. We reached out to Benjamin Sauter and David McGill of the law firm Kobre & Kim to find out more about the specifics of the SEC’s report and the implications of the ruling for blockchain entrepreneurs. Sauter and McGill are part of the Digital Currency & Ledger Defense Coalition, a group of over 50 lawyers dedicated to protecting U.S. blockchain innovators. In its press release, the SEC states: “Whether a particular investment transaction involves the offer or sale of a security — regardless of the terminology or technology used — will depend on the facts and circumstances, including the economic realities of the transaction.” This sounds like they are just reserving the right to judge every case as they come. Does it actually mean anything? The SEC is reserving the right to judge every case ad hoc. If anything, the SEC signaled that it was taking a very broad view of which tokens would be deemed to constitute securities. The DAO was, by definition, a decentralized entity that depended on the participation and voting of individual token holders. Yet, the SEC still found that the expected profitability of the token depended on the managerial efforts of the co-founders and “curators” and thus satisfied the Supreme Court’s definition of a security. Of course, there’s a difference between what the SEC thinks and what the law is. For many companies, it is the SEC’s view that matters. But the SEC’s reasoning is questionable and when a company is ready to challenge the SEC’s view in court, there will be room for it to do so. Coin Center emphasizes that some tokens “do not fit into the definition of securities, particularly tokens with an underlying utility rather than a mere speculative investment value.” Do you agree, and do you think this is the main piece of advice ICO planners should follow? The SEC has announced its view that at least some ICOs will constitute securities. As noted above, the SEC appears to have announced a broad view. That’s really all we’re reading into in the SEC’s Report of Investigation. The report appears to have been more of warning shot than actionable guidance as to what will and will not constitute a security. Tokens "with an underlying utility rather than a mere speculative investment value” include, for example, Brave's Basic Attention Token (BAT), iExec's RLC, and the Gnosis token. But it seems evident that if these tokens become popular, their price will go up. How is the SEC likely to treat these cases? At which point does a useful token become a speculative investment? This is a great question, and the SEC has not provided a clear answer. How can ICO planners based in the U.S. collaborate with the SEC in absence of clear and unambiguous regulations? What is the recommended procedure? The SEC has expressed openness to dialogue. Interested parties should work with experienced counsel to develop a strategy that is tailored to the circumstances of the particular ICO. For ICO planners based in the U.S., does it make sense to try and collaborate with the SEC, or should they consider moving their operations to a foreign jurisdiction? It’s really a business decision as to whether the issuer wants access to U.S. investors and capital. If so, they’ll likely need to take the U.S. securities laws into account. Simply relocating to a foreign jurisdiction may not be sufficient to avoid the long arm of the U.S. securities laws. A company planning an ICO should consult legal counsel to assess the applicability of U.S. securities laws. Also, it’s important for planners to consider not only the securities law implications of a coin offering, but also of secondary-market trading. What can the SEC do to prevent U.S. citizens from buying into a controversial or fraudulent ICO operated from a foreign jurisdiction? The SEC issues press releases, reports and investor alerts. The Report of Investigation on The DAO linked to a number of them. When those aren’t enough, that’s when the SEC’s remedial and enforcement role kicks in. What can the SEC do against a "phantom" decentralized organization with anonymous operators? Whom can the SEC go after? The SEC’s Report of Investigation required a finding that the profitability of the DAO token resulted “solely from the efforts of others.” Presumably, these “others” would be a logical place for the SEC to start. The programmers could be another target. In our experience with early-stage cases and those with little or no precedent, it’s crucial for companies facing SEC inquiries to seek counsel early. An investigation can wreak havoc; the SEC can also seek to freeze assets and enjoin further business operations. A comprehensive legal strategy can go a long way in mitigating some of these risks.